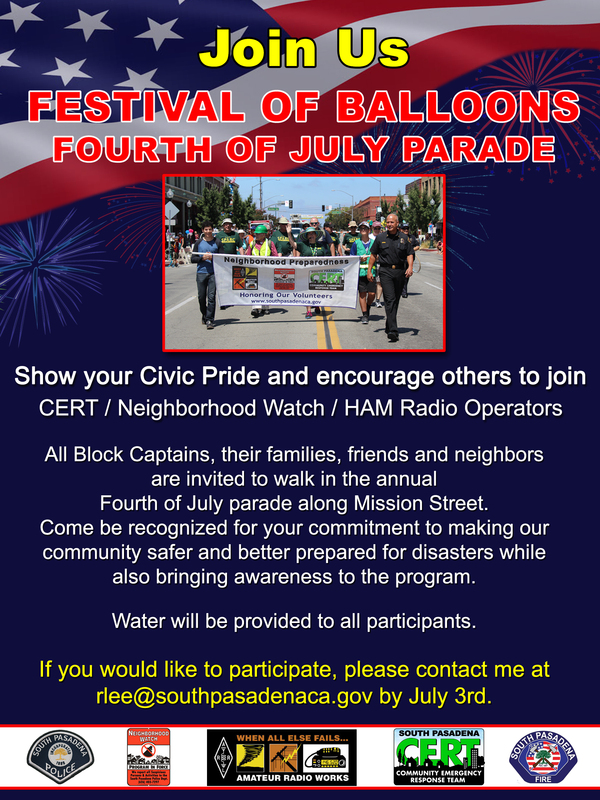 SPARC will join our friends in South Pasadena CERT and Neighborhood Watch to walk in the Festival of Balloons, the city’s annual Fourth of July Parade. See the flyer below (click to enlarge) for full details. Hope to see you at the parade!